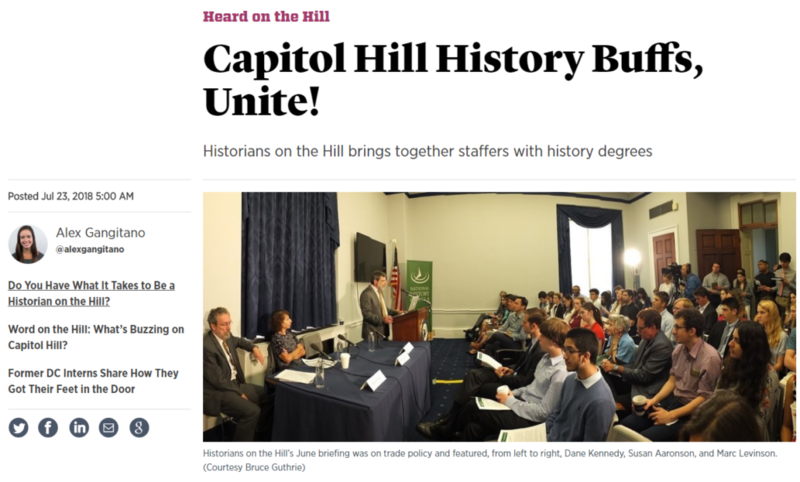 The Center is pleased to announce the launch of our new monthly newsletter, History on the Hill. The newsletter provides historical insight on contemporary concerns and will be released on the last Friday of every month. Our next newsletter will be released on July 27. The first edition of History on the Hill provided historical context for issues like immigration, the opioid epidemic, and more. You can read the June edition of the newsletter here. We hope that you’ll sign up!